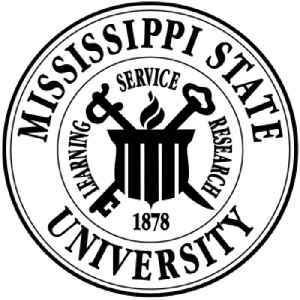 The Mississippi State University for Agriculture and Applied Science, commonly known as Mississippi State University (MSU), is a public land-grant research university adjacent to Starkville, Mississippi. With 21,353 students at its main campus, it is the largest campus by enrollment in the state. It is classified in the category of "R1: Doctoral Universities – Very High Research Activity" by the Carnegie Foundation and has a total research and development budget of $239.4 million, the largest in Mississippi. It is listed as one of the state's flagship universities. Mississippi State, Stanford, Oregon State and Vanderbilt complete the top five.